The case still has nothing to do with AS Roma directly and yet fears that the new stadium is jeopardy seem genuine. Further high-profile officials were arrested or are suspected of corruption with the stadium in the background. 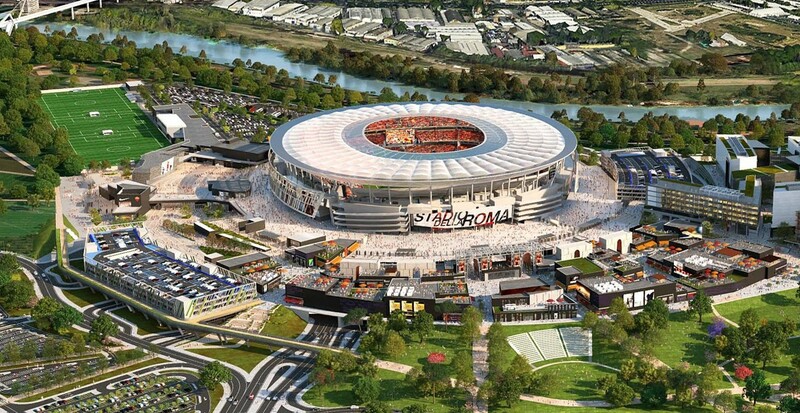 The new AS Roma stadium in Tor di Valle has recently been described as being “15 meters away from the finish line”, at least as long as planning approval is considered. And yet once more uncertainty over construction has reached front pages after a series of arrests on Wednesday. The leader of Rome's City Council Marcello de Vito was taken into custody for reportedly opening himself to corruption and illicit influences. Along with him three other people were arrested and today news agency ANSA suggested that city councillor for sport Daniele Frongia is also suspected of corruption. All arrests are connected to those of June last year. This is when the 'Parnasi group' of 9 individuals was arrested, headed by businessman Luca Parnasi. He was to be involved in the AS Roma project and club owner James Pallotta has cut ties with him immediately. During his press conference, deputy prosecutor of Rome Paolo Ielo confirmed that the football club is not directly involved or suspected of any wrongdoing. At the same time he refused to reassure everyone that the stadium would be built as planned. “AS Roma is not involved. The prosecutor will not ask to block the stadium process. For now there are no administrative documents relating to the stadium for which alterations are identified. […] The prosecutor will not ask to block the process, but other venues could do it.” said Ielo. It's the last sentence that brings uncertainty back into the equasion. Apart from being a major scandal for Movimento 5 Stelle (Rome's ruling party), it's a major publicity blow for AS Roma. It's thus feared that James Pallotta might eventually say 'enough' and resign. But, are we to believe the words of vice CEO of AS Roma, it's not going to happen. 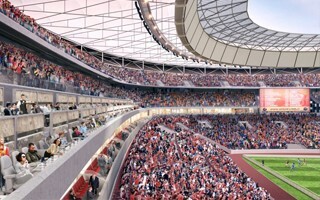 “On the AS Roma Stadium there can be no doubt at the administrative level. For this reason, we do not only have the expectation, but we have the right to see it delivered as quickly as possible. Potentially corruptive episodes refer to the individual responsibility of the persons involved. The collective responsibilities of those who administer the city are other. These are towards the investors who have acquired the rights to the project and would like to see it realized. A foreign investment of over one billion must be a priority for the city and for the country.” said Mauro Baldissoni. Keep in mind, Pallotta's initial vision of the new stadium was released for the first time in 2014. It was initially hoped that the complex in Tor di Valle would be operational in 2017. And yet groundbreaking in 2019 is now the best case scenario. The stadium itself would be able to hold over 52,000 people with option of expansion. Along with secondary commercial uses it would be worth €1 billion.